~ Followspots are operator controled & are used to echance the lighting of actors. 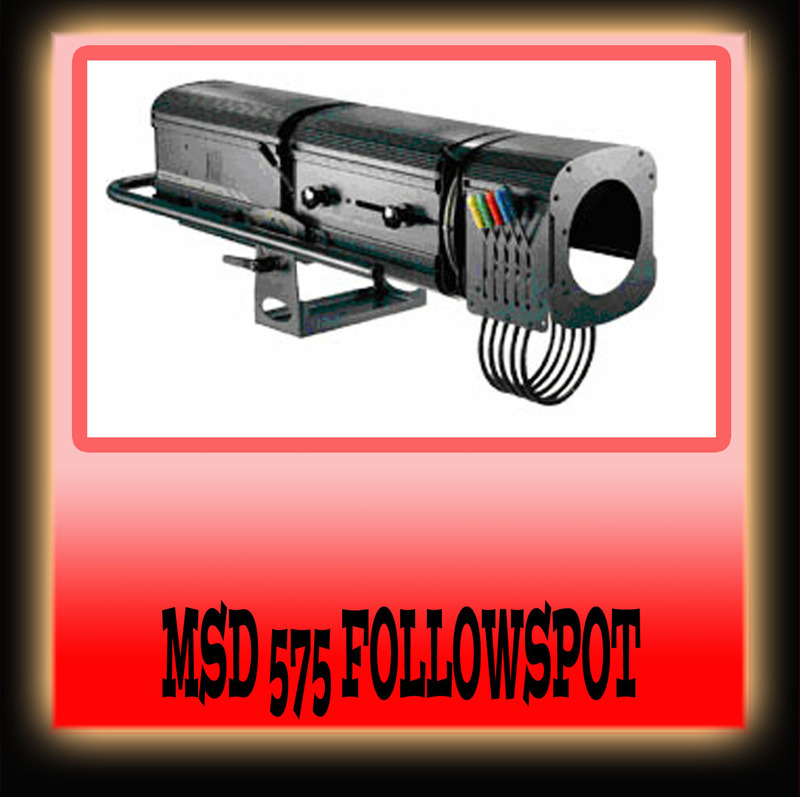 ~ The Halogen & MSD Followspots can be are supplied with a 13, 15 or 16 amp plug. ~ All come supplied with a stand, colour magazine and an appropriate dimmer. We can supply experienced Followspot operators to enhance your performance or event if you require.